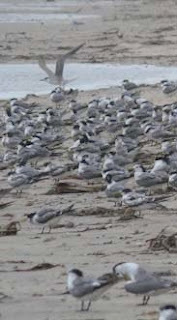 Beach breakfast... silver gulls fight for a morsel on Frenchman's Beach. 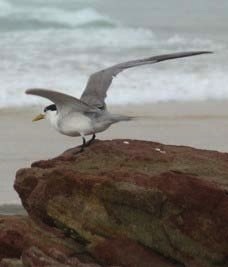 Into the storm... A crested tern on Deadman's Beach. 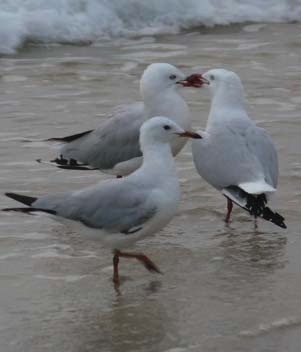 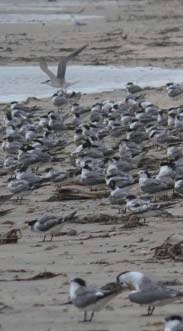 Silver terns on Frenchman's Beach during the recent wet weather.